To have burned-in you need 10.4.4 and it doesn't matter which format of caption is used. In case you want to have closed-captions (on demand) you can assign a new role (CEA-608) to a duplicate of your ITT role. But there are limits: not all languages are supported, you'll lose style, color and alignment (every caption is aligned bottom left). Also captions with more than 32 characters per line will cause errors. Only 1 language possible. Another option with 10.4.4 and closed captions is to assign an SRT role. Less limits here: you'll lose style, color and alignment (every caption is aligned bottom). 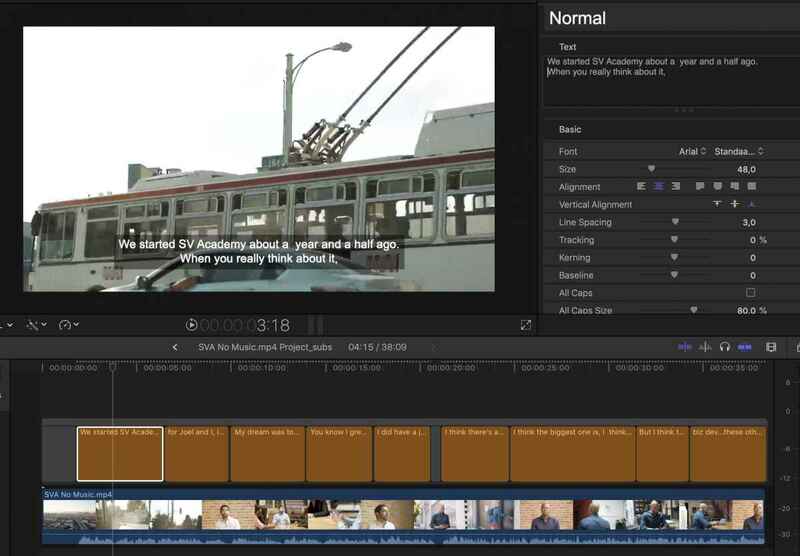 Then export SRT and use Subler to add the caption tracks to your movie. For version 10.4.3 (or to avoid to poor quality burned-in captions in 10.4.4) you can use my X-Title tool to either convert captions to normal titles or to export to SRT keeping the formatting. 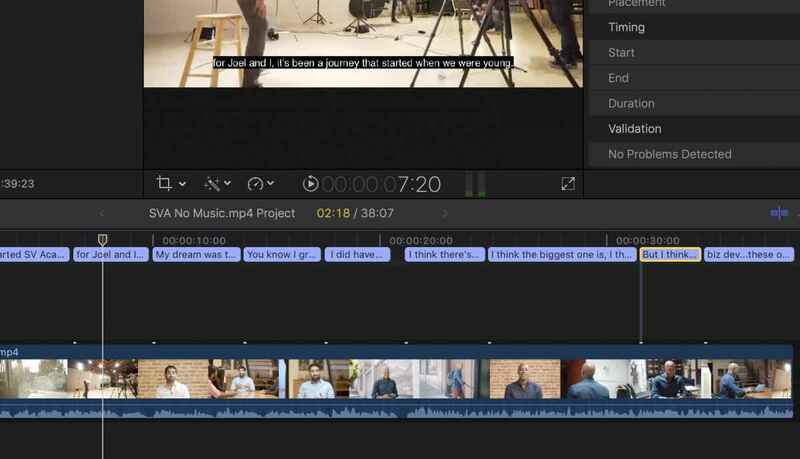 If you work with FCP X 10.4.4, you don't need to redo anything. 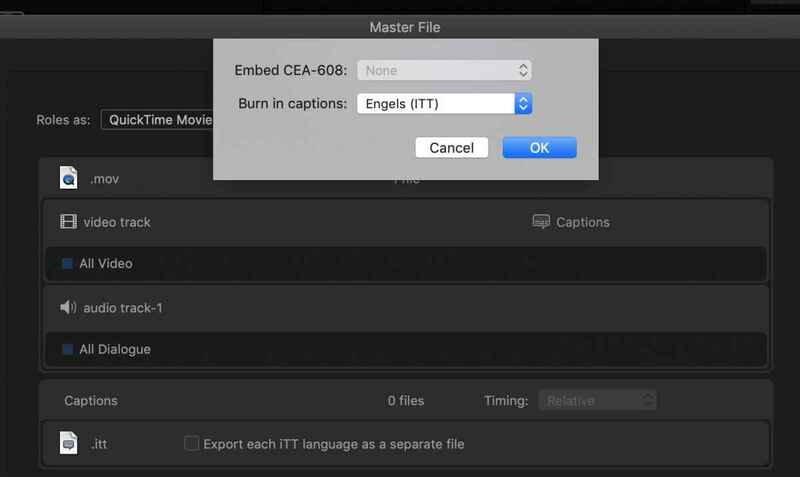 Just tell FCP X to burn the ITT captions into your exported video, and you're done. Choose Share > Master File and select the Roles tab. The Roles window will open. 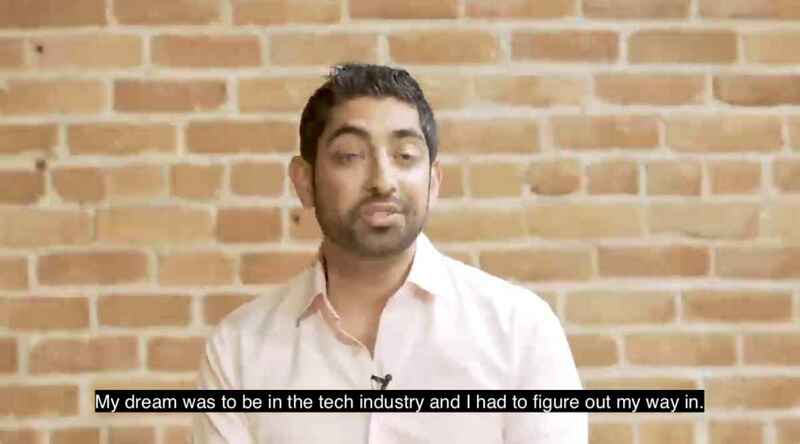 In the Roles window, click on Captions and select Burn In Captions > ITT. Then Press OK.
Generally speaking, captions are very simple and only have very basic formatting options. Also, the quality of captions is always basic. If you want your burnt-in titles to look much better than simple captions, this is where the title tools from Andreas come in. 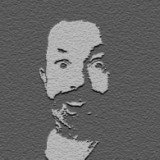 To get good quality burnt-in titles from your ITT captions, download X-Title tool (see link above). 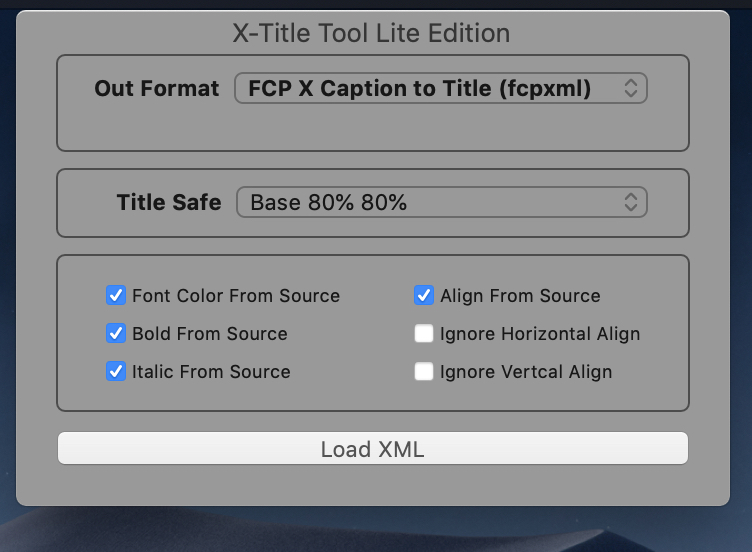 Import the new XML into your FCP X event, and you will get perfect titles that you still can modify and adjust as much as you wish. You can simply export the video now as a Master File, with quality burnt-in titles. There is no-one in the world whom I respect more than Andreas when it comes to titles and subtitles, his tools are a must-have for anyone who needs to work with subtitles on a regular basis. Last Edit: 23 Dec 2018 16:55 by ronny courtens.